REGINA – It’s a golf swing that is by no means of the textbook variety. 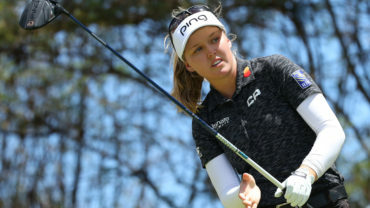 Brooke Henderson uses a long driver, grips down on it and rotates her body quickly, using impressive core strength to maintain the necessary stability and balance as she brings the club down. The torque is intense, but it’s a motion that allows her to get every last bit of energy and power from her slight, yet taut, five-foot-six frame. It can sound like a gunshot when the clubface meets the ball, which usually rockets down the fairway. Henderson’s power game has always been there. Her short game has not been as consistent, but is showing signs of improvement entering this week’s CP Women’s Open. “I feel it’s in a really good place right now – at least the last few weeks,” Henderson said after Tuesday’s practice round at the Wascana Country Club. “Golf is sort of weird and (the) short game is really weird. You can putt great one day and putt terrible the next. Henderson’s putter was hot at last week’s LPGA Tour stop in Indianapolis. She closed with a 9-under-par 63 to finish tied for seventh. It was her eighth top-10 result of the season. “(I) made a lot of putts and it was cool to make a lot of birdies and kind of get that feeling back again,” she said. 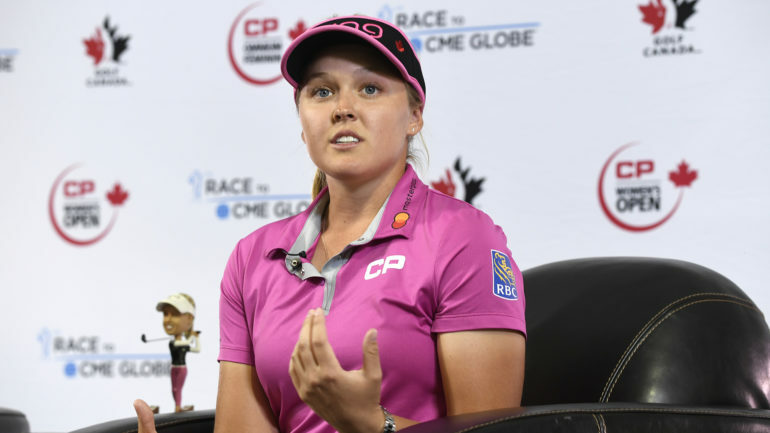 The 20-year-old native of Smiths Falls, Ont., averages almost 270 yards per drive, good for seventh among all LPGA Tour players. Her driving accuracy is so-so at 71.79 per cent (69th overall) but she hits over 75 per cent of greens in regulation (third overall). However, she averages 29.70 putts per round (54th) and her sand save percentage is a mediocre 40.98 per cent (104th). Henderson will have plenty of opportunities this week on the 6,675-yard course, which plays long in spots, but can reward players who are aggressive. That could work into Henderson’s hands as she tries to become the first Canadian to win this tournament since Jocelyne Bourassa won at Montreal in 1973. 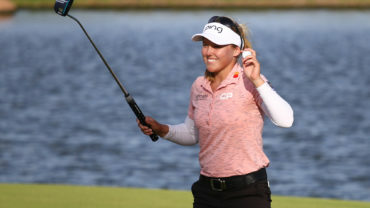 Henderson earned her lone win of the season last April in Hawaii for her sixth career LPGA Tour victory, leaving her two behind Post for most all-time wins on Tour by a Canadian. She has managed to maintain a solid world ranking position of No. 14 even though it has been a challenging season at times. Both of Henderson’s grandfathers died earlier this year. Henderson leads an impressive field that includes defending champion and world No. 1 Sung Hyun Park of South Korea, second-ranked Ariya Jutanugarn of Thailand, American Lexi Thompson and China’s Shanshan Feng. On the coaching front, Henderson works with her father, Dave, and gets tips from her sister, Brittany – who also serves as her caddie. She has also worked with Golf Canada’s national women’s head coach Tristan Mullally in the past. 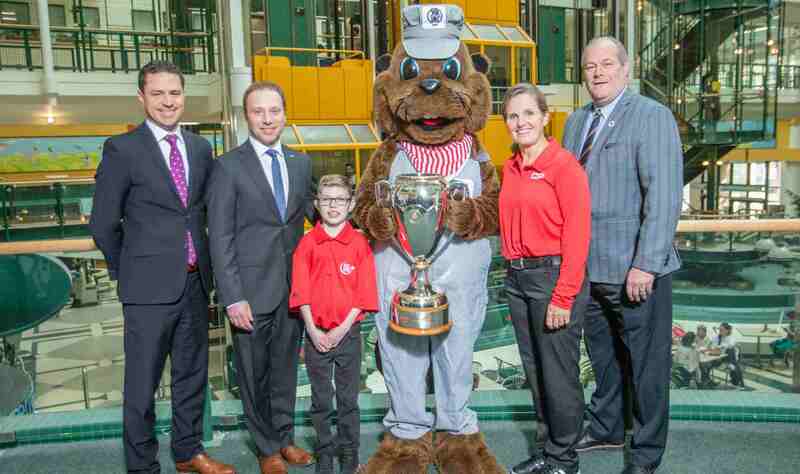 Kevin Haime, a past winner of the PGA of Canada national teacher of the year award, hosts a junior golf event in the Ottawa area that has featured Henderson and her sister. He regularly uses a video demo of Brooke’s swing for his students. As strong as Henderson can be off the tee, she can really be a force when the putter is going. “When it’s on, she really goes low,” Post said. “But she’s got tremendous spirit, tremendous desire and will. I always find that’s the one thing that can’t be taught. You have to have all those other things. 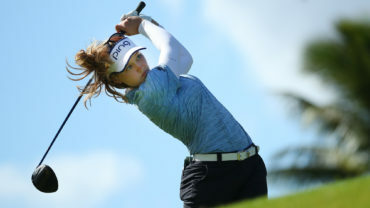 Henderson said the friendly competition with her sister – who’s now 27 – during their formative years in the sport also helped give her game a big boost. “I was always trying to beat her, be as good as her,” she said. “She was always a lot taller, a lot stronger, so I tried to hit the ball, outdrive her, which didn’t happen for a long time. But I think that’s why I didn’t have that unique strength, because I was just trying to use every ounce of my body to get the ball out there. Henderson will return to the par-72 course on Wednesday for the championship pro-am competition. First-round play begins Thursday morning. Saskatoon native Bobbi Brandon picked up one of four final exemptions in Monday’s qualifying to boost the number of Canadian players in the field to 16. The US$2.25-million tournament will wrap up Sunday.